Zero brings you this half sleeves T-Shirt and Shorts set for your little champ. 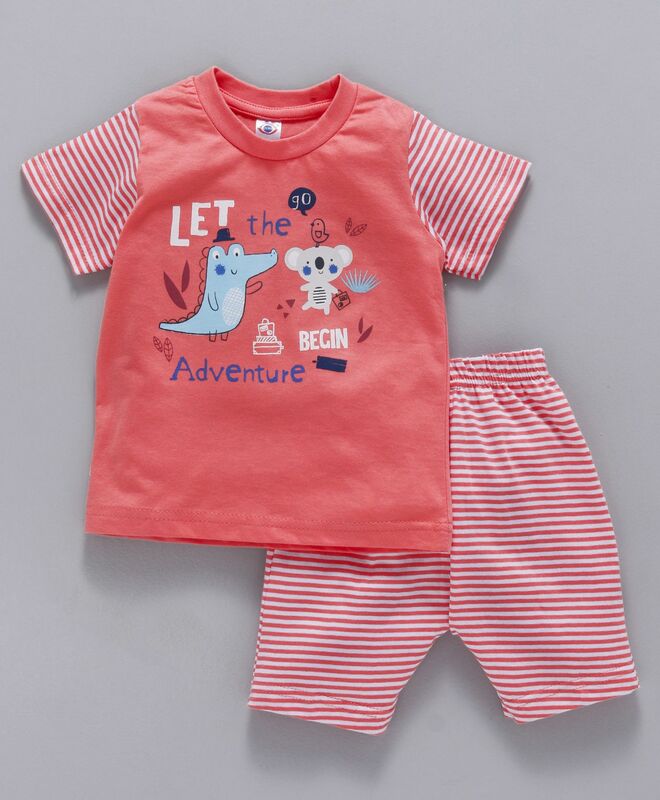 This smart T-Shirt features adventure print and stripe shorts, makes this a stylish set. Round neck in pullover style with shoulder button of the T-Shirt and soft elastic waist of the shorts makes this an easy wear for your kid. 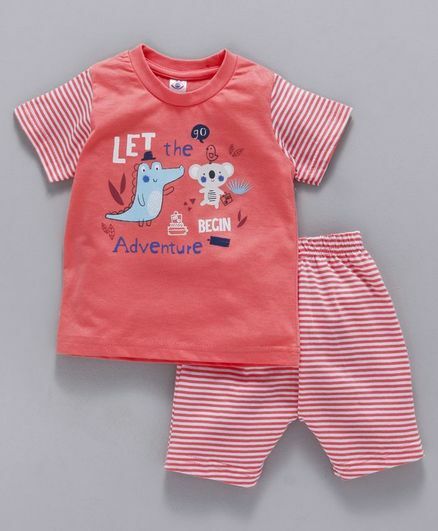 The soft fabric of this set will keep your kid comfortable all day long.